Ravintsara – a winter-wonder oil | GreenHouse Health - Homeopathy, Integrative Medicine and so much more! Ravintsara is indeed an amazing Winter-Wonder oil, which has been a firm favourite in my practice, and home, for many years - and I certainly never travel without it. It is an essential [no pun intended] companion when sitting on aircraft, where one is a captive recipient for lurking and disseminated nasties. A few drops inhaled from the palms or from a tissue, several times during a local or international journey, has [so far] ensured that I don’t succumb to the usual respiratory bugs [and their concomitant sequelae], which are of necessity recirculated in these environments. Patients who have followed this recommendation have also reported a significant decrease in the usual sore throats and colds that often afflict them when flying. Whether inhaled or massaged on the chest, spine and soles of the feet – this safe, gentle yet very powerful antiviral oil, is a total winter winner! 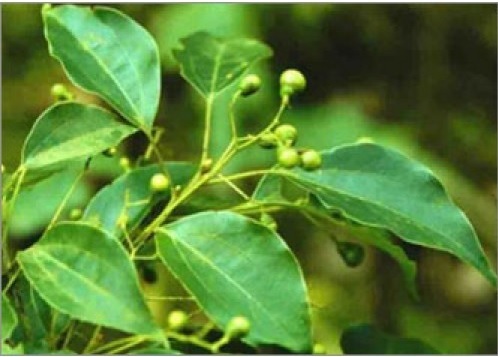 Ravintsara [botanical name Cinnamonium camphora ct 1,8-cineole] may be easily confused with the similar sounding Ravensara [botanical name Ravensara aromatica]. Though both oils share some similarities, they are distinctly different in many ways. Here we will focus on Ravintsara. Ravintsara has a distinctive sweet-balsamic aroma that has been described as rosemary or eucalyptus-like i.e. a slightly camphoraceous aroma. Despite its name and aroma the Malagasy trees however contain a low to non-existent percentage of camphor, with the aroma deriving from the dominant oxide constituent, 1,8-cineole. Cinnamomum camphora ct 1,8-cineole leaf oil: Ravintsara, Madagascar ho leaf, camphor of Madagascar. The name is a modification of the Malagasy words ‘ravina or ravi’ meaning ‘leaf’, and ‘tsara’ meaning ‘good or aromatic’, hence is colloquially known as the good leaf tree. Lauraceae - many plants from the Laurel family contain essential oils. Lauraceae are found mostly in the tropical areas of America and Asia. They are rare in Africa with only the laurel inhabiting the Mediterranean basin. 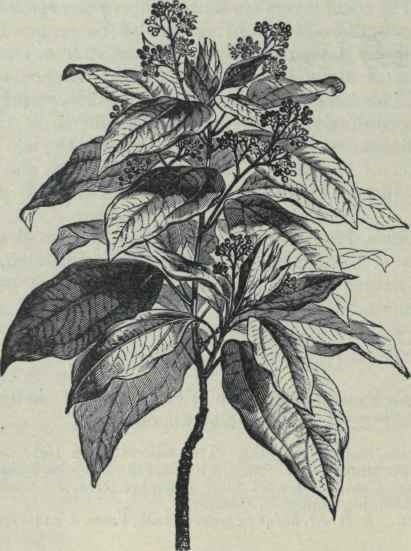 Although now considered indigenous to Madagascar, Cinnamomum camphora ct 1,8-cineole [Ravintsara] is apparently not truly indigenous to the island, even though it is presently grown there as a sustainable resource. The tree, which is native to Asia [China, Japan and Taiwan], was only introduced onto the Island in the 19th century. Since that time it has evolved into different species, which have now become endemic to Madagascar. The fascinating Lauraceae family consists of about 52 genera, and 3000-3500 species. It includes some well-known plants from which essential oils are extracted e.g. ravintsara [C. camphora ct 1,8-cineole]. The genus Cinnamomum has approximately 250 different species, many of which yield a volatile oil on distillation. And in addition, the delicious avocado [Persea americana] also belongs to the abundant Lauraceae family. Ravintsara [Cinnamomum camphora ct 1,8-cineole] is a large evergreen tree that grows up to 15 metres in the wild. The foliage is bright green with large, hardy oval, alternate leaves, which have a shiny, waxy appearance on their upper surface. The vertically fissured bark is pale and very rough. It produces masses of small white spring-flowering blossoms and clusters of characteristic black berry-like fruit, with each berry divided into six parts. Leaf oil - 0.7- 1.5% I’ve also seen reports stating that the actual yield varies from 4 to 8 ppm for a 10 to 15 hour distillation, with 100 kg of Ravintsara leaf yielding +- 800 ml of essential oil. The Malagasy people recognise and appreciate the therapeutic value of, and use the leaves and the essential oil in their folk medicine primarily for the treatment of stomach disorders, headaches, colds and influenza, and chest infections. C. camphora has a number of different subspecies or chemotypes [ct] and the chemical profile of the essential oil/s distilled can differ substantially depending on a tree’s geographical location. C. camphora ct linalol known as ho-wood is grown in Taiwan and Japan and contains about 80-85% linalol as its major chemical constituent. In contrast, Ravintsara [C. camphora ct 1,8-cineole] grown in Madagascar can contain from 40-80% 1,8-cineole [eucalyptol] as its major constituent. An interesting chemical adaptation that has puzzled researchers over the years is the fact that camphor is a dominant constituent [+-50%] everywhere in the world where C. camphora grows, except for the Malagasy oil, which is 1,8-cineole dominant. The other four major chemotypes are the safrole [Chinese sassafras oil], borneol, camphor and nerolidol variants. 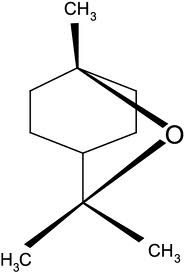 Ravintsara [C. camphora ct 1,8-cineole]: The main chemical components include: oxides [at least 45-60%+] 1,8-cineole; monoterpenes [sabinene +-15%, α-pinene, β-pinene, myrcene, γ-terpinene, limonene and others]; sesquiterpenes [β-caryophyllene, α -humulene and others]; monoterpenols [α-terpineol 7-10%, terpinene-4-ol], sometimes esters [terpenyl acetate]; plus several trace compounds.